No matter what industry or geography I get contacted by, the request is always the same: “come talk to us about negotiations”. It’s a hot topic, that’s for sure. I’m just not happy with the state of the union though. 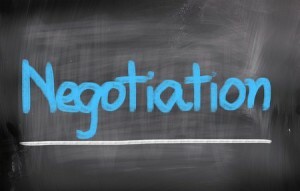 There’s so much bad information out there on negotiations. There was a time when purchasing was very transactional, by design. We’re talking pre-1980’s. Customers opportunistically decided who they would do business with and the goal was to get what you wanted, as fast as possible, from whom you wanted, at the price you wanted – it was all about the win, for the person with the money that is. High stakes negotiations were viewed as warfare, and like any war, the goal was to make out on top in the conquest. If the supplier didn’t like it, they could go pound sand, because you were the one with the money, and you could call the shots. The goal was to get an unfair advantage, to get the upper hand, to use deceit and aggression, to use psychological warfare to to paint the supplier in a corner. We are now entering the era of supply chain management. It won’t just be companies competing; supply chains will be competing too. Without an effective supply chain, companies are rendered ineffective as well. Supply chain councils will be governing the effectiveness of the supply chain. The council’s scorecard success metrics that are measured and monitored will be for the good of the chain, not for the good of the individual links. Costs will be taken OUT of the supply chain instead of forcing suppliers to make less profit – so purchasing can report more savings. If an individual company in the supply chain is faltering, they don’t get dumped like yesterday’s newspaper and unceremoniously have their business put out to bid. Instead, the supply chain council will try their best to support the companies in the chain in good times and bad, investing time and resources in them to help them be successful – for the good of the chain. Only the worst of conditions will result in a supply chain link being replaced, because – just like divorce – the total cost of doing so is very high. Back to negotiations training. Given this supply chain model above, if the goal is to make the supply chain effective, it makes absolutely no sense to employ 1950’s tactics to get the upper hand or get an unfair advantage in negotiations. How does that benefit the supply chain? 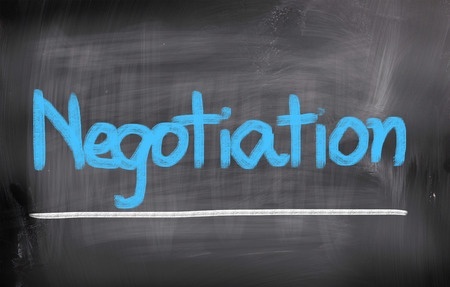 This sort of antiquated negotiation training, which is out there everywhere in our profession being taught, needs a one-way ticket to the nearest landfill. You know the type of boss who you would take a bullet for? It’s probably been a while, but you know exactly what I’m talking about. You really cared about them, because they cared about you. What you want is a set of powerful negotiation strategies that invoke INTRINSIC MOTIVATION and make the other party WANT to help make you successful, and leaves them feeling great about the deal. You cannot negotiate effectively with anyone unless they know, like, and trust you. Period. And you’re not going to achieve that with 1950’s tactics and counter-tactics that involve psychological leverage. If you’re doing these things, it’s not your fault, it’s probably what you’ve been taught. But it’s time to stop. Do you know how you’ll know that “you’ve arrived” as a purchasing and supply chain management professional? You’ll know you have arrived when you can exceed your TCO objectives in a negotiation and the supplier feels great about the deal. There’s a lot of strategy that goes into making this happen, and it doesn’t happen accidentally. But that’s the outcome you want. I can put you on that track. Procurement pros, we are in the BEST profession in the world. My challenge to you, as always: Be your best! Don’t ever settle for anything less. P.S. We’re putting the finishing touches on my new negotiations course, “Negotiation Strategies for Breakthrough TCO”, that will get you out of the old and into the Now. There is nothing like to this new training that will put you into a league of your own, and I can’t wait to get it into your hands. Stay tuned!